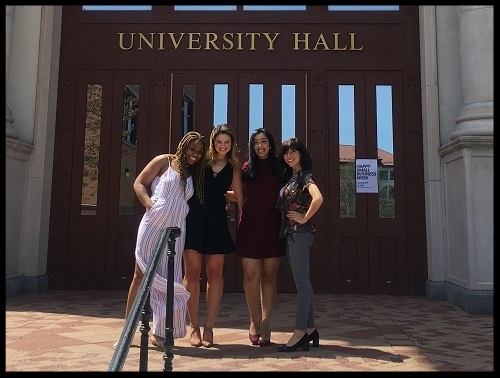 Nkechi Okpara is part of our DD Community and she reached out to us and asked if she could write a post about her experiences over the past year applying to dietetic internship programs. Our response?? An immediate, "Yes, girl!! Come through!" Thank you so much for sharing this knowledge and your experience with the DD Community, Nkechi! My closest friend, Natalia, during our Quantity Food Applications Course. How did you decide with Dietetic Internships (DIs) to apply to? · Emphasis (communications, pediatrics, or something less traditional). I applied to seven programs and New York-Presbyterian Dietetic Internship fit some of the criteria. Also, it has a strong clinical background and I wanted to take advantage of the learning opportunities. How did you prepare for the application itself? I started getting serious about the DI process spring of 2017m a whole year before graduation from undergrad. I’ve always been the type to do all my research. I never shy away from asking questions or reaching out. And that’s what I started to do. First, I wanted to know how the matching process worked. I think a lot of students are confused by that. I YouTube’d “matching process”, just so I had a clear sense of it. I started searching for programs on the EatRight website. Every time I found a program of interest, I would research them more in depth by using the “Applicant Guide to Supervised Practice.” This book was a lifesaver! It showed me what directors considered when viewing applicants. It shows the number of people who applied vs. the number of applicants accepted from the following year. This allowed me to gauge where I stood. My M.S Nutrition and Food Science/RD2Be friends. What also helped was reaching out to people on the All Access Internships FB group. I posted many questions and I messaged dozens of people. I asked them what they felt were some pros and cons to their program, just to get a student’s perspective. I also e-mailed some directors and asked if they would view my resume to see if I was a good fit for their program. This saves times. These things really helped prepared me. Did you go to open houses or have interviews and if yes, how did you prepare for those? I went to one in person open house (Sodexo-Philly), and a few virtual ones. I didn’t want to spend money on traveling so, I opted not to go to open houses unless it was reasonable. I applied to 7 places with 9 spots (Sodexo- Allentown and Philadelphia) and New York-Presbyterian (September and March option). Two of the programs did not give interviews and I did not hear back from one; therefore, I had 6 interviews lined up. March was a stressful time; I had midterms, papers, projects, and my comp exam for my Grad program to study for. Added to that, six interviews. So, I did not prepare for interviews. I went over some questions the night before my first interview and that was it. It was hard for me to allot time for interview preparation. How did you balance it all while going to school and working and/or volunteering, etc.? Some of the students in the program who got matched! With that, I think the hardest part was balancing everything (school, volunteering, and applications). The most stressful part was writing my personal statement (I didn’t want mine to be “boring” or “standard”) and the E-portfolio (required for Sodexo). I did a lot of my writing and organizing during winter break. I chose not to work because it would have been too overwhelming. When I do stuff, I give my energy and attention to one thing, and working would have been too much. That was my winter break--reaching out, transcripts, open houses, resume revision, personal statement edits, you name it! It helped that I went through it with my friends and classmates. Somehow someone knew something that the other didn’t, and we always had new information to share. I loved that I could text them and they’d understand. It made me excited to talk about it and to go through it with them. Many group projects meet-ups turned into DI related conversations. Few people (outside of the nutrition major) know much or anything about this process and that was frustrating. So, having good friends and a support team is essential. Find that peace in people! Are there any other tips that students should consider? Look to see if the program has its own scholarship opportunity. I missed NYP’s because I didn’t consider the program until real late in the process. Also, if you do your research early on, you can save open house dates way in advance. Take advantage of the virtual open houses! All in all, I am proud of how I handled my application process. I feel as though I knew everything that I needed to know because I took the initiative to find answers so I wouldn’t go in this process confused. I can rest easy knowing that I would do nothing differently. Nkechi was born and raised in Trenton, NJ. She earned a BA in Psychology from Villanova University, and graduated in May 2018 with her Master of Science in Nutrition and Food Science with a Didactic Program Certificate from Montclair State University. 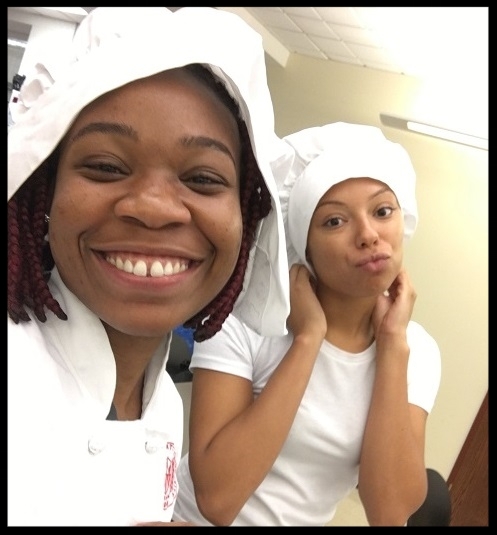 This past spring she was matched to the New York Presbyterian Hospital Dietetic internship. If you’re a student with any questions, feel free to reach out to Nkechi on her two Instagram accounts here and here.